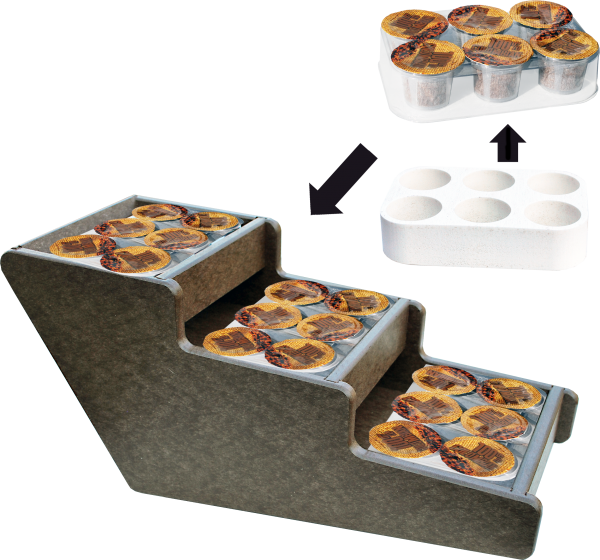 NOTE: 6-PAK CUP TRAYS ARE DESIGNED FOR THE FLOW-THRU CUPS TO FIT IN A 12 COUNT BOX. 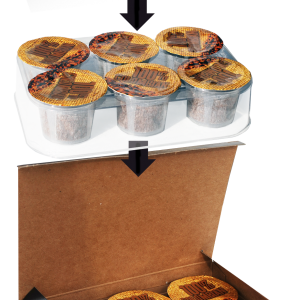 PLEASE CONTACT A REPRESENTATIVE FOR PRICING OR FOR MORE INFORMATION ABOUT THIS PRODUCT. 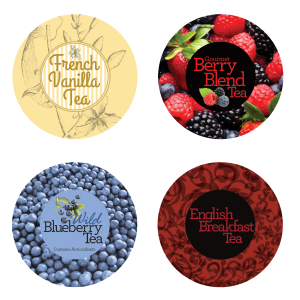 TAKE YOUR RETAIL SPACE, HOTEL LOBBY, OR OFFICE BREAK ROOM TO THE NEXT LEVEL WITH A DECORATIVE SINGLE SERVE CUP DISPLAY TRAY! WE REVAMPED OUR DESIGN TO ACCOMMODATE AND TASTEFULLY SHOWCASE UP TO SIX CUPS PER TRAY. 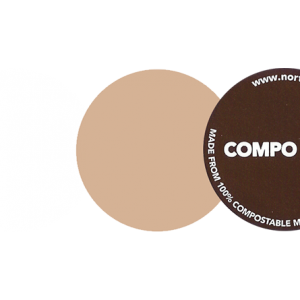 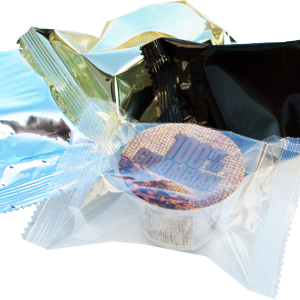 DESPITE WHETHER BEING FILLED WITH COFFEE, HOT CHOCOLATE, OR TEA, THE CONTENTS WITHIN THE SINGLE SERVE CUPS WILL STAY FRESH THANKS TO OUR HIGH BARRIER MATERIALS AND STRESS FIT SEAL.